increased engagement of general community groups in connecting and welcoming migrants and refugees into a wide range of community activities. Engage migrants, refugees and the wider community in building a united, harmonious and inclusive Queensland. The Multicultural Events funding round opened on 7 August 2018 and closed 14 September 2018. The Multicultural Projects funding round opened on 5 November 2018 and closed 14 December 2018.
cultural celebrations that involve people from a particular community or diverse cultural groups and the wider community. benefits at an individual level, such as increased community participation, economic independence, inclusion or access to opportunities within the local community. The successful recipients, under the 2018–19 multicultural events funding round, have been announced. Total funding of $1.3 million has been allocated to 152 events to be delivered across Queensland in 2019 that will build capacity to promote and celebrate the benefits of multiculturalism, supporting united, harmonious and inclusive communities. The funded events will aim to promote intercultural connections and inclusion. Find out more about the 2018-19 grant recipients (PDF, 425KB). The next funding round for multicultural events to be held in the 2020 calendar year will open in 2019. The successful receipients, under the 2018–19 multicultural projects funding round, have been announced. Total funding of $375,221 has been allocated to 12 projects to be delivered across Queensland from July 2019 to June 2020 that will create pathways to participation for people from diverse cultural backgrounds in the cultural, economic, and social life of Queensland. Find out more about the 2018-19 grant recipients (PDF, 124KB). The next funding round for multicultural projects to be delivered in the 2020-21 financial year will open later in 2019.
have no overdue reports, or service delivery or performance issues for funding previously or currently provided by Multicultural Affairs Queensland. Ensure you read the relevant guidelines, FAQ fact sheet and preview the application form before applying. You can apply online through SmartyGrants. Please note, late applications, including supporting documentation, are not accepted, and requests for an extension are not considered. MDA Ltd is a non-government organisation and is independent of the grant assessment process. SmartyGrants support desk hours are 9am to 5pm, Monday to Friday. You can also use our event registration form to seek approval to promote other events and project activities on the calendar. If you would like to receive future email communications about multicultural topics, including the opening of future funding rounds, complete the online registration form. The Community Funding Access Program managed by MDA Ltd, a non-government organisation, provides more information about other funding options available. If you would feel more comfortable discussing the grants program in your own language, please call 13 QGOV (13 74 68) and ask for an interpreter who speaks your language. 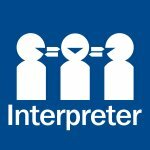 Wherever possible, we will engage an interpreter and discuss the grants program with you.